None of us wanted to get up early. We had to leave the Gold Coast on an early flight with TigerAir to Sydney to catch our connecting flight with JetStar to Hobart, Tasmania. Before too long we were on our way to Sydney. While it worked out cheaper to book two single flights it meant that we had the faff of collecting our bags and then having to re-check them in. By now the tiredness had kicked in and the kids were fed up and arguing. Luckily, we didn’t have long to wait for our short flight to Hobart. 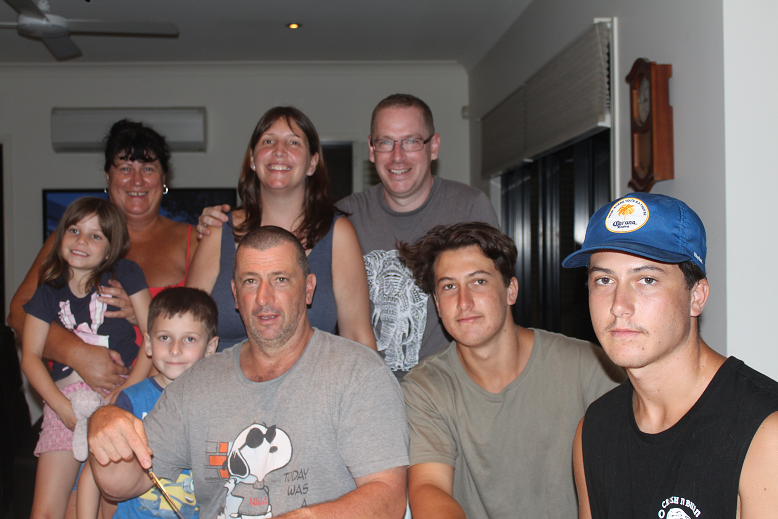 The main reason for visiting was to see our friends Dave and Caroline who had moved there from Sydney around a year ago. Hobart airport is small and baggage claim is within the arrivals hall. So, when we entered the building we immediately saw Dave and Caroline’s smiling faces! After chatting for a bit, they patiently waited for us to catch a shuttle bus to sort out our car rental before we followed them into Hobart. For our stay, we had our own self-contained unit below their house with our own kitchen and bathroom. Dave offered to cook dinner for us. Dad went with Dave to the supermarket to stock up on some provisions for the stay. We all had dinner together and chatted into the evening, a good start to our stay in Tasmania. The following day we stayed inside for most of the day, taking the time to recover from a travel day. In the afternoon, Dad took the kids for a walk to a park overlooking the harbour. After dinner Mum and Dad left the kids watching a DVD and caught up with Dave and Caroline some more. We spent a day visiting the fantastic Bonorong Wildlife Sanctuary. The children loved seeing all the animals. Our son particularly liked Randall the Echidna while our daughter fell in love with a kangaroo that followed her around after being fed by her. 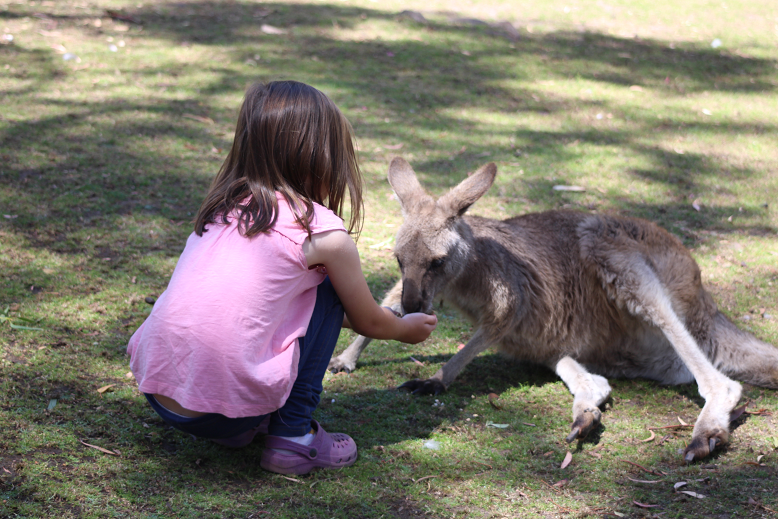 The kangaroo was named Carla by our daughter!! After walking around and seeing the rescued animals, and plenty of kangaroo feeding we headed back to Hobart. We all relaxed the next day and concentrated on some of the children’s education. Our son had started to really enjoy the Star Wars saga and he was rapidly making his way through Dave’s DVD collection following learning activities! 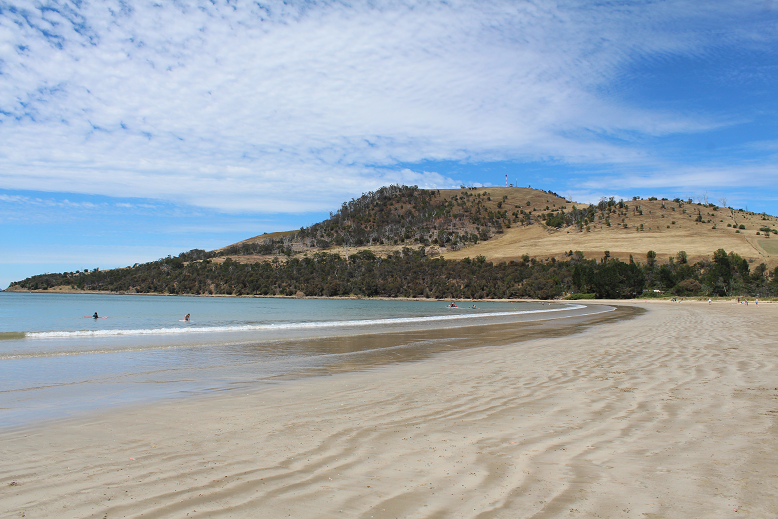 A short drive out of Hobart towards the airport took us to Seven Mile Beach one day. A beautiful sandy beach with calm waters. 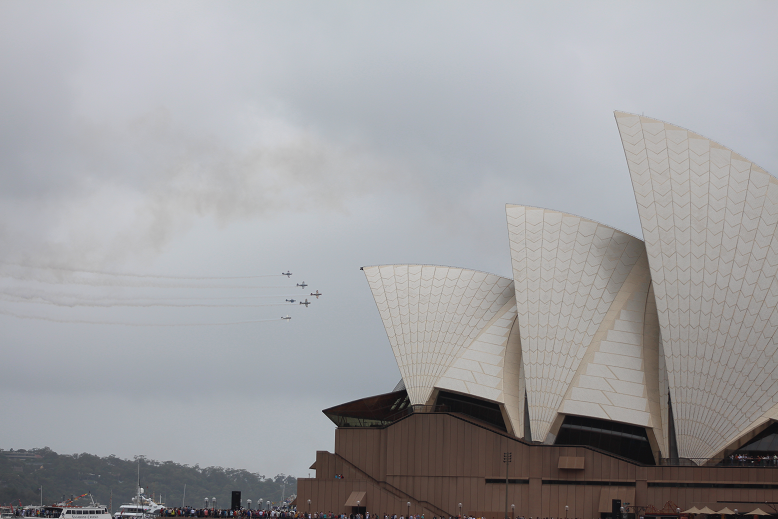 While on the beach you could watch, the planes take off and land from the nearby airport. The kids enjoyed playing in the sand, jumping waves and collecting lots of shells! As the following day was a Saturday, Dave and Caroline did not have to work. We went with them to walk around Salamanca Market. The outdoor market is every Saturday morning held along Salamanca Place, next to the waterfront. It was an enjoyable morning seeing what each stall had to offer. After this we headed out of town to Anaconda, a large outdoor store and topped up with some supplies we would be needing in South America. That evening we walked to a nice Italian restaurant for a meal with Dave and Caroline to thank them for their hospitality. 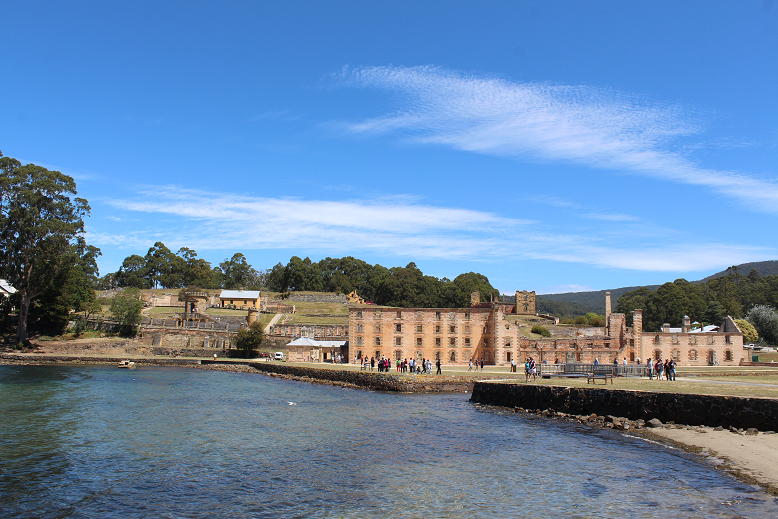 About an hour and a half scenic drive from Hobart brought us to the former town and convict settlement of Port Arthur. The kids really enjoyed walking around the site and learning about the old buildings, including the prison itself. The site is very scenic. Included in the price was a short trip around the harbour on a catamaran. 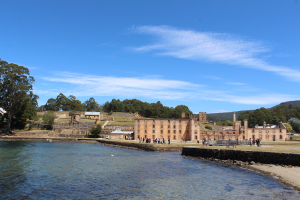 Sadly, Port Arthur was also the scene of one of the biggest mass killings in the world. In 28th April 1996, Martin Bryant shot and killed thirty-five people and wounded twenty-five others. There is a memorial on-site for the people who lost their life that day. The incident led to a nationwide crackdown on firearms. That evening Dave cooked a fantastic roast meal for us all. There was so much good food and seconds filled us up! The next day would be our last full day on Tasmania. In turn we cooked a coronation chicken with salad for dinner and packed.